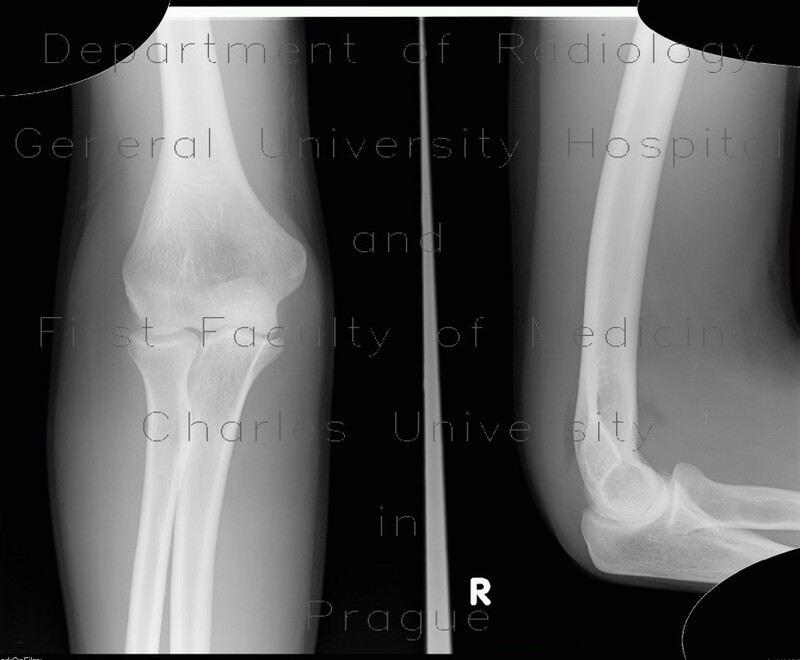 Elevation (dislocation) of the anterior and posterior fat pad is a sign of effusion in the elbow joint, a careful search for accompanied skeletal trauma must be undertaken. Both (and especially anterior) fat pad acquire triangual shape resembling a sail - hence sail sign. Careful inspection of the head of radius reveals nondislocated subcapital fracture.